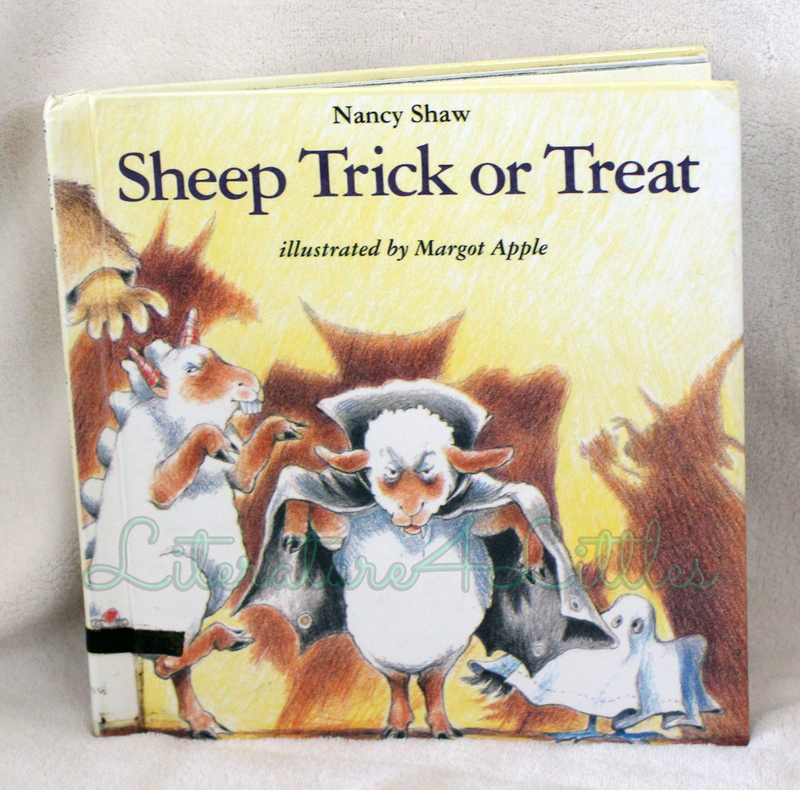 The Sheep series by Nancy Shaw is a LOT of fun. The series features the adventures of a small flock of sheep, all told through tongue-twisting rhyme. I’m pretty good at tongue twisters, but even I stumbled through this one… something about the “s” sound, I think. These books are full of lighthearted fun. The sheep tackle a variety of things, including shopping for a friend’s birthday and going trick-or-treating. The sheep always find themselves in some sort of pickle, but they figure some way out. The Sheep books are illustrated by Margot Apple, who uses soft colors and enough detail to bring the story to life. The books are deceptively simple – no more than a dozen words per page – but sometimes it takes a truly tame tongue to get through a few of the alliterative phrases. I like that these books include overcoming obstacles of varying proportions – from not having enough money to going home in the dark to crashing their jeep (twice). I also like that the books have the sheep clean up after themselves when they make a mess of things. These books are a lot of fun. I think they would be a great read for older toddlers through kindergarten-age children.